Wine lovers, this one is for you! 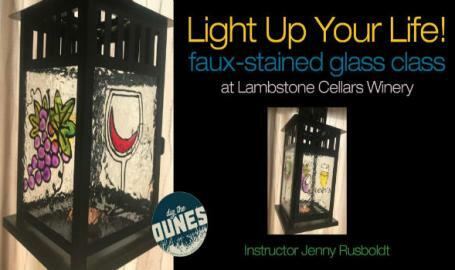 Join Dig the Dunes and Jenny Rusboldt as you create a beautiful faux stained glass lantern. Draw over wine glass, grapes and "cheers" templates with liquid leading to complete a design on each plane of glass. Then fill in the sections with vibrant stained glass colors. Once dried you can slide the colored glass back into your lantern. 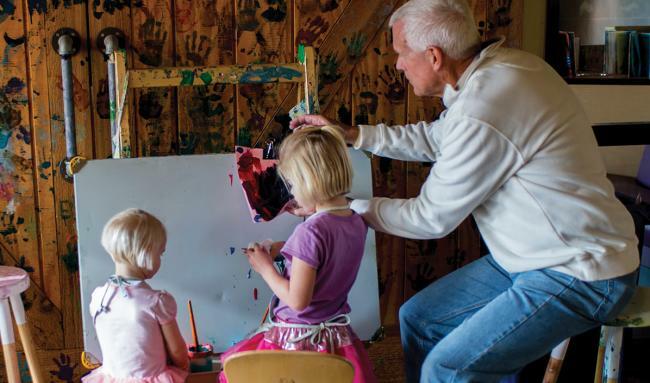 Add a candle and watch as the colors illuminate from inside, and onto your walls. Class includes all materials, instruction and one glass of wine. Charcuterie and flatbreads are available for purchase.